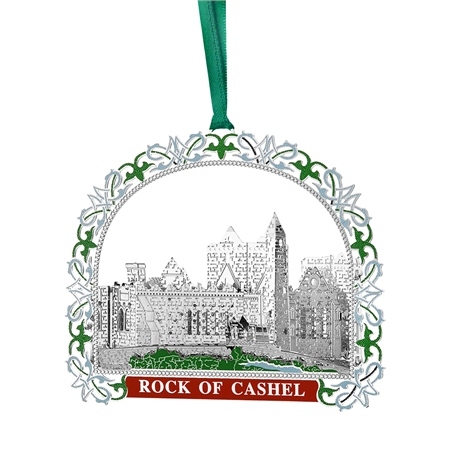 This skillfully crafted 3D Rock of Cashel decoration is a wonderful keepsake of the lore and beauty of ancient Ireland. The Rock of Cashel also called Cashel of the Kings or St Patrick's Rock, is one of the most notable landmarks of ancient Ireland. The legend of the Rock dates back to St Patrick's time in the 5th Century.